The government of the state of Oyo is not going to leave stone in march in its aggressive fiscal campaign, since it has continued closing the main groups of businesses that are not fulfilling the payment of taxes. 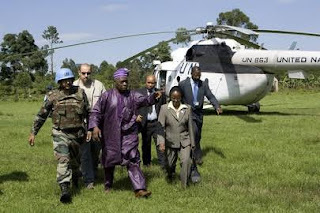 Among the companies closed today are Obasanjo Farms, located in Oluyole Industrial Estate, Ibadan, owned by the former Nigerian president, Chief Olusegun Obasanjo. Also affected are banks, MRS oil, Black Horse, Heinemann Educational Books, Lister Flour Mills, University Press Limited, Evans Brother, Brooking House, Group Medical hospital, Butterfield bakery, Chicken Republic and Rasmed advertising. Some of the affected companies are located in Dugbe, Eleyele, Podo, Challenge, Onireke areas in Ibadan. The exercise coordinated by the Internal Revenue Board of the State of Oyo, OYBIR, is being carried out by the combined team of the Interministerial Inspection Unit of the State of Oyo. According to him, "the exercise that we carry out today is not something new and it is not outside the law, it is within the law, we went to restrict some corporate organizations that did not pay what is owed to the Oyo state government after giving the notices due, notices of demand and even public notices to that effect and did not pay, so we went to those places to dissuade them from having access to their facilities and it will be a continuous exercise, throughout the week and even next week. What they are guilty of is the payment of the environmental development rate. Some of them owe him around two years. We wrote to them and we gave them notices to pay, they refused to pay. It was as a result of their lack of payment that we now embark on what is necessary. But it's so sad that not until we have to take this step against the companies that are actually going out to pay. " 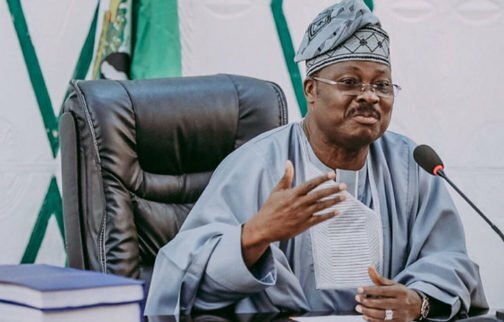 He concluded, "The government is not interested in disrupting the business of these corporate organizations, the government's business is to create an enabling environment for companies to prosper and Oyo's state government has done tremendously well in recent years and that's why You see companies emerging daily in the state of Oyo. The government can not interrupt your business unless absolutely necessary. The attention now is that we will collect all the kobo that people owe to the state government, we publish on August 13 in two widely read newspapers, calling the attention of corporate organizations and individual residents of the state of Oyo to pay all their taxes , fees and charges that are supposed to be paid to the state government within 14 days. But that was like a reminder, before that: we comply with demand notices in line with the existing laws on corporate organizations, people to pay their taxes. Some of the taxes expire at the beginning of January, February and March, depending on the position of the law. However, when they did not pay, we made the reminder according to the position of the law and now we made a public notice on August 14, giving them 14 days to pay. Then, no one could tell us that they were not informed. "